Former TV host and cover model Jaymee Joaquin was diagnosed with breast cancer in 2016. People who stayed up late would recognize her as the host of Games Uplate Live or as the cover girl for numerous magazines when she was still living in Manila. But actress and host Jaymee Joaquin left showbiz to study, travel, and make her home base in the United States. 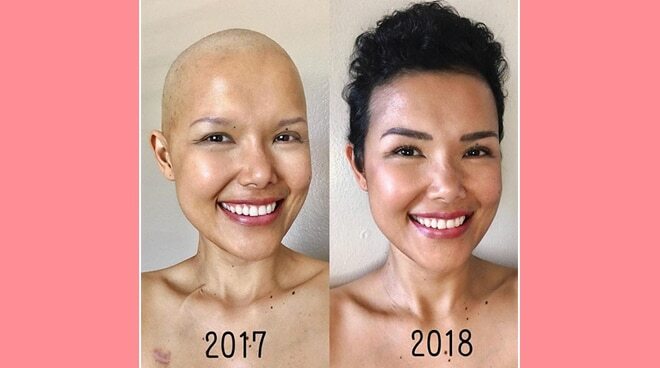 Two years ago, she was diagnosed with breast cancer which she documented on her social media account to help inspire and educate people about her experiences after fighting the disease. Last May 2, the 38-year-old model posted a #TransformationTuesday post chronicling the changes she went through since last year.